If a pitcher bounces the ball in the dirt, can a batter hit the pitch legally? Yes. This is treated like any other pitch. The ball can be batted and if the batter is touched by the bounced pitch, he is awarded first base on a hit by pitch. But a pitch that bounces on the ground and goes through the strike zone is a “ball,” and a bounced pitch cannot be caught for strike three unless first base is occupied and there are less than two outs. 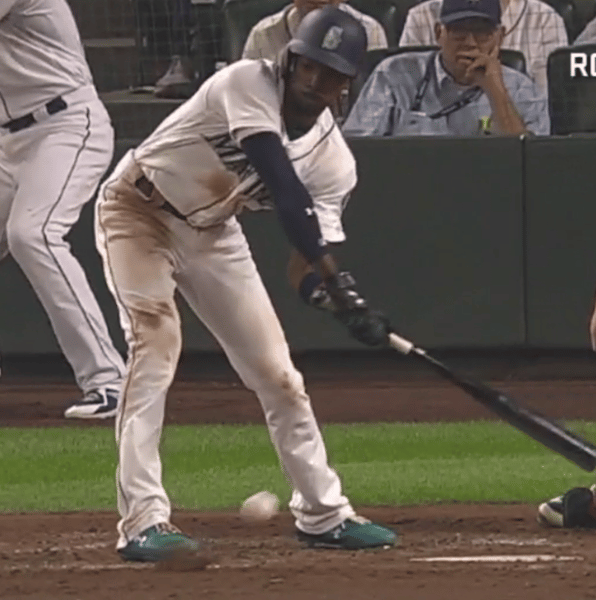 In the Aug. 20 game between the Mariners and Astros, the M’s Dee Gordon hit a check swing ground ball on a pitch that bounced in the dirt.